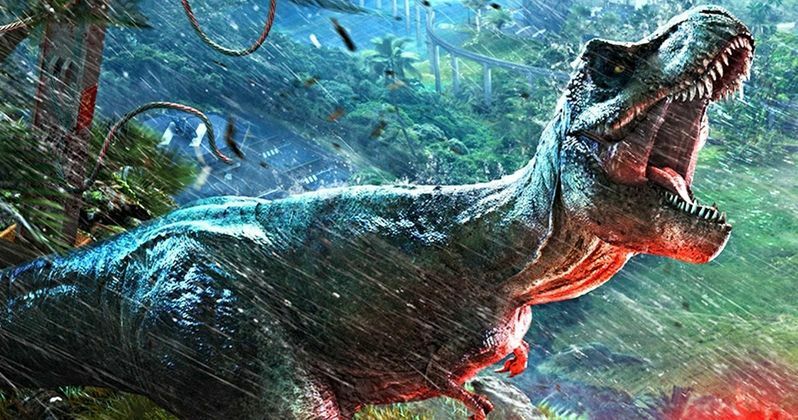 We may have to wait until 2021 until Jurassic World 3 arrives, but we've got some new dino action coming our way in 2019. A live-action Jurassic World Short is in the works that will debut in theaters later this year. While details are scarce, the short will debut alongside the upcoming Fast and Furious spin-off Hobbs and Shaw in theaters. This news comes to us from the recent New York Toy Fair. A Mattel spokesperson was giving a presentation on their new line of Jurassic World toys and, once he was done showing off what the company has to offer fans of the franchise who have a little bit of cash to spare, the rep revealed that this live-action short is not only happening, but that it will feature the debut of a new dinosaur as well. Here's what he had to say about it. "We have a new species, the Nasutoceratops coming out, it's a tongue twister, along with our Allosaurus. They're gonna be featured in a live-action short pre-roll that's going to play before the new Fast and Furious movie [Hobbs and Shaw] summer 2019. So keep an eye out for that." There are several questions this raises. Will this short be part of the official movie canon? Will it take place prior to the events of Fallen Kingdom before Isla Nublar was destroyed by the volcanic eruption? Or will these be a couple of the dinosaurs that managed to make it off the island before its destruction? Until Universal decides to unveil additional details on the project, if they unveil any details on it at all, these questions will remain a mystery until this short is revealed. The idea of attaching something like this to Hobbs and Shaw makes a good deal of sense. The Fast and Furious movies have gone on to become billion-dollar behemoths at the box office, much like the Jurassic World franchise has. Since they're both under the Universal banner, why not create some franchise synergy? At the very least, it could help them sell a lot more toys, if indeed that is the idea behind this short. Then again, Hobbs & Shaw is being aimed at a more adult audience, so would putting this short in theaters alongside that movie make as much sense if it were just intended to sell more toys? Really, this could end up being a very short live-action entry within the Jurassic Park franchise and we could be making more of it than there really is. But we've got to do something while we wait for Jurassic World 3, which Chris Pratt recently promised is going to be epic and is being directed by Colin Trevorrow. It's set to hit theaters on June 11, 2021. For those looking forward to this short, whatever it may be, Hobbs and Shaw is set to arrive on August 2. Feel free to check out the clip from the Pixel Dan YouTube channel below.